In small bowl, combine sugar and cinnamon; mix well. Shape dough into 1 1/2-inch balls; roll in sugar-cinnamon mixture. Place 2 inches apart on ungreased cookie sheets. Bake at 350°F. for 12 to 15 minutes or until cookies are set. Remove from cookie sheets. 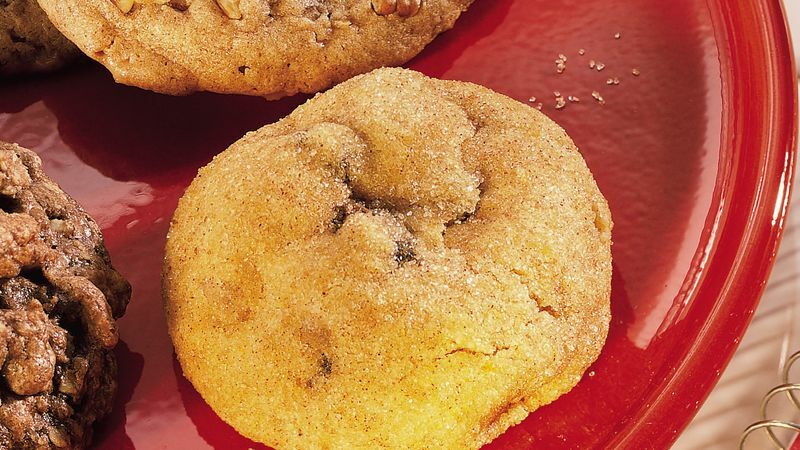 *For Banana, Raisin and Ginger Cookies, substitute one 14-oz. pkg. Pillsbury® Banana Quick Bread & Muffin Mix.